Make no mistake guys, introducing a shaving oil into a morning regimen can make a marked increase in comfort for a lot of men. Typically derived of natural ingredients, although you can still find popular brands that rely on synthetic ingredients, shaving oil’s key purpose is to provide a slick lubricated base for your razor to pass upon. 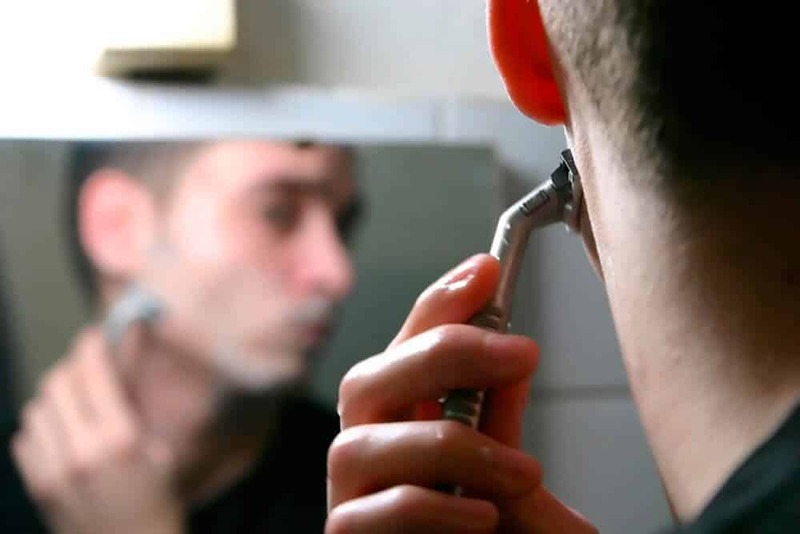 A properly lubricated surface will ensure that the razor doesn’t skip or chop your skin – which can cause general skin irritation and in some cases small nicks. Hence the reason why a shaving oil can be a welcomed addition to your morning routine. 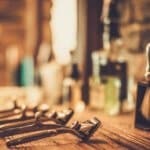 Replenishing your shaving oil stock can be costly. I dunno about you, but I don’t like wasting my money on shaving supplies. In fact, if you do a quick back of the envelope math for shaving oil, you will find that it can roughly cost you around $100 bucks a year for a mid-tier brand. …yes you read that correctly. 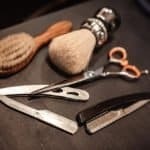 While we will go over some common items you can use in place of a shaving oil, it’s likely better for you to at least give a quality brand a shot first. Not because we like wasting money (why else would we write this article), but because you know what to expect, and will know if the results you are getting at home with some DIY solutions matches up to what you would get if you plunked down $20 hard-earned bucks. 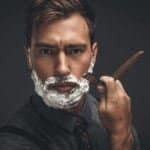 So, if it’s your first time experimenting with shaving oil, we would recommend that you check out our in-depth reviews of the best pre shave oils on the market. 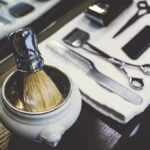 Editor’s note: Throughout this guide we use the terms shaving oil and pre shave oil interchangeably. Baby oil, commonly known simply as mineral oil, is a terrific solution that gives plenty of the same properties found in your standard shaving oil. Derived from petroleum, mineral oil (also known internationally as paraffinum liquidum), has been used in cosmetic and beauty products for a number of years, and is generally considered safe to use per the Environmental Working Group website. However, with mineral oil, there are some misconceptions about it within shaving forums and beyond. Namely its comedogenic (pore clogging) properties. Often cited by several men as causing an uptick in acne production, is simply false. While some (i.e. industrial) mineral oils can clog your pores, most of the mineral oils sold at your local grocery store will be refined and purified. Which strips the oil of any pore clogging properties, making it classified as being non-comedogenic. If you want a cheap and afford shaving oil and don’t mind using a petroleum based product, then mineral oil checks all the boxes. We would suggest going for an unscented mineral oil especially if you plan on using an aftershave balm or cologne in tandem as most store bought minerals tend to have a feminine scent profile. Essential oils provide some incredible scents. Seriously, if you look at any beard oil or aftershave balm, you will see some crazy scents including sandalwood (that classic barbershop smell), cedarwood, pine, amber, lemon, cinnamon, vanilla, grapefruit, and so many more. In fact, there are tons of essential oils that exist in the world. Their face would likely get a mild chemical burn! While essential oils may be ‘all natural’ and ‘organic’ this doesn’t mean a darn thing regarding safety. 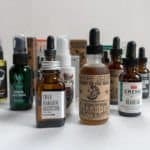 When you look at any popular pre shave oil, aftershave balm, or beard oil for that matter, essential oils only make up about less than 1% of the actual solution (with carrier oils making up the other 99%). Their potency gives you not only some great scents, but according to several health sites, additional homeopathic capabilities as well. One common citation that many health sites like to use as an example of essential oils natural healing capabilities is around tea tree oil. Tea tree oil is considered by many to be a natural anti-fungal agent. Therefore, it will help reduce the occurrence of acne with regular use. So, if you are tempted to use an essential oil on your face, don’t. It will burn your skin. You must dilute any essential oil with a carrier oil such as jojoba, castor, grapeseed, etc (which we will talk about many of these in just a minute). Castor oil has been used in a ton of different capacities over the years. From medicinal uses (i.e. laxative) to lubricating engine parts (Fun fact: This is how Castrol got its name – ‘castor oil’), but most importantly – for its use in shaving oil. If you look at any of the quality pre shave oils on the market, you are likely to find castor oil as being the leading ingredient. Castor oil is a carrier oil and can be used in tandem with any essential oils (that we just talked about above) should you want to add a bit of a scent to your final solution. 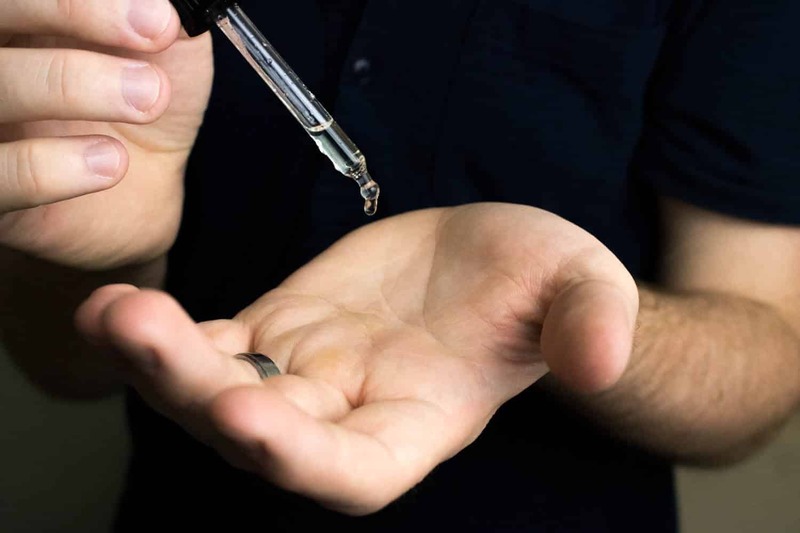 Note: If you are looking to get into the whole DIY process on pre shave oils, we invite you to check out our in-depth guide that goes over everything you need. It’s viscosity makes it perfect for providing not only an incredibly slick base for your skin, but also isn’t susceptible to clogging your cartridge razor head when you go to make your passes while shaving. Like mineral oils, castor oil is non-comedogenic making it a perfect solution to induct moisture to your skin while not causing an uptick in acne production due to clogged pores. Regarding scent, castor oil is incredibly mild and many men cite it as simply being unscented – making it perfect to use with other grooming products. Largely reserved for cooking, olive oil is a product that some thrifty men may rely on as a substitute for shaving oil. It’s slick nature can provide a lubricated base that will overall help the comfort of your shave. While some may rely on their standard kitchen olive oil, you can find at major online retailers (i.e. Amazon) cold pressed and refined olive oils that are more suited as a carrier oil. This oil is likely going to have a much lighter scent and provide some additional skin care benefits that you wouldn’t otherwise get in a hot (expeller) pressed olive oil that is found in most kitchen cabinets. So, what’s the final answer? 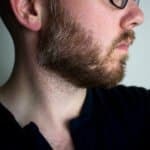 Sure, you could use olive oil as a shaving oil substitute, but given all the other options at your disposal, we would recommend checking out others on this list instead. Coconut oil is absolutely perfect for both moisturizing and nourishing your skin. While we still recommend applying a moisturizer to your face on a daily basis, coconut oil is a great backup option for men with dry skin. 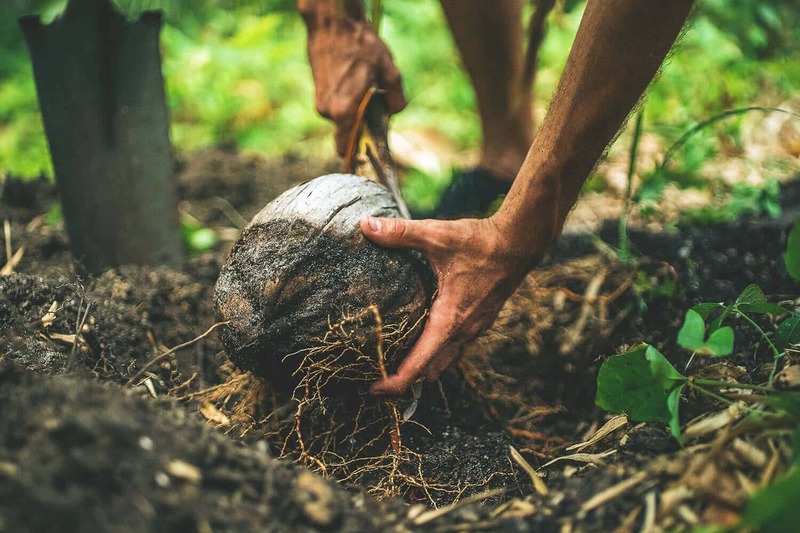 Gents out there with combination or oily skin, you may want to skip coconut as its widely considered to be comedogenic (i.e. it may clog your pores) by medical experts. Or if you do use it as a shaving oil, just be sure to rinse thoroughly afterwards. Of course with the scent of coconut oil will be akin to that tropical smell that so many of us are accustomed too. But beyond shaving, coconut oil is a great addition to your cabinet as it has many other uses. A simple Google search will give you endless results. The last popular carrier oil that we are going to cover is grapeseed oil. Like castor oil, grapeseed is found in a plethora of pre shave oils. It’s packed full of Vitamin E, which has natural antioxidant properties. In addition, Vitamin E will help block free radicals – i.e. it will help to ward off the signs of aging in men. According to a study, men on average have skin that looks about 15 years younger than that of a woman of the same age. But us guys do a horrible job at taking care of ourselves. Therefore, if you use a grapeseed oil regularly while shaving, you may be able to fight off those fine lines on your face. Grapeseed works incredibly well and will rival castor oil for performance. 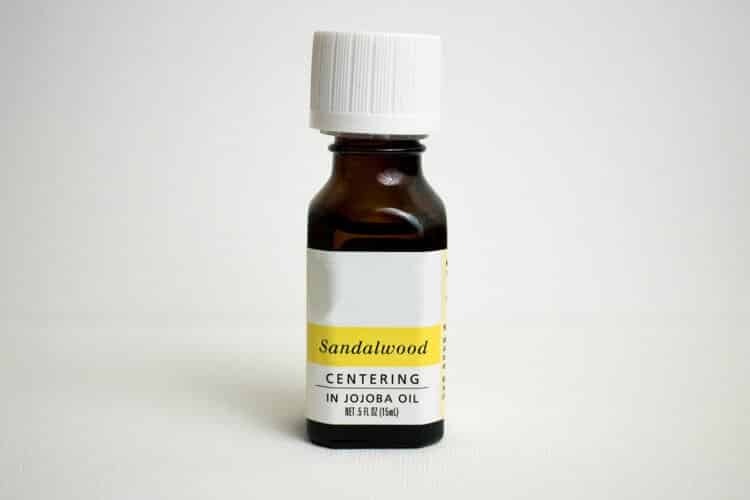 Just a simple 16oz bottle of this stuff will set you back by $10 bucks – making it among the most cost effective oil on this list. Seriously – it’s that good! Whether you go with mineral oil, castor oil, grapeseed oil, or any other others that we covered in this article, the application process is going to be identical. When introducing any new oil, solution, cream, etc. into your shaving regimen it’s critical that you do a patch test. We strongly recommend that you apply a little bit of pre shave oil to just one side of your face (i.e. cheek right by your ear) and then shave. 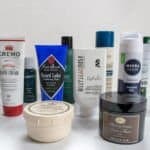 While we wouldn’t expect a rash or severe acne breakout to happen for most men, it’s always important to understand that your skin is a living organ and what works for one man, won’t necessarily work for another. First you want to take a shower. This step will help to soften the hair follicles, get the sebum oil beneath your hair flowing, and generally give your well hydrated skin a clean surface to work with. Apply about a dime-sized amount of pre shave oil to the palm of your hand and then rub both hands together for an even coating. Liberally rub hands on all areas of your face that are going to be shaved. Wash hands thoroughly to remove oil residue so your safety razor or cartridge razor doesn’t slip while shaving. Apply shave cream of choice. Reapply should additional passes be necessary (i.e. across the grain or against the grain if using a safety razor). Rinse face with water and pat dry with towel. Have incredible skin for the rest of the day! 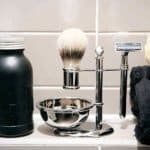 As you can see in the breakout of some of the more popular solutions, shaving oil delivers a wide array of skin benefits and most importantly, comfort. If you are looking for some natural solutions, any of the above should be more than sufficient as a shave oil. As we stressed earlier, and it bears repeating again, if you never tried a shaving oil before, we would strongly recommend buying one as it gives you a baseline for comparison. This will give you the assurance that a mineral oil or grapeseed oil is as every bit as effective for YOUR skin as any product off the shelf.